This is my message to you-ou-ou..
We got a tease of summer air last week with some fantastic 80 degree weather, but it was just enough to get our hopes high. Sandals one day and back to boots the next, welcome to spring in New York. 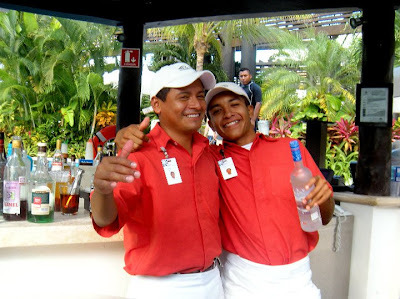 - Sunshine, Carefree days, endless nights, and an awesome bartender named Roberto. It was this man, Roberto, that introduced us to the above magical, rasta colored shots. and he just started blending without hesitation. 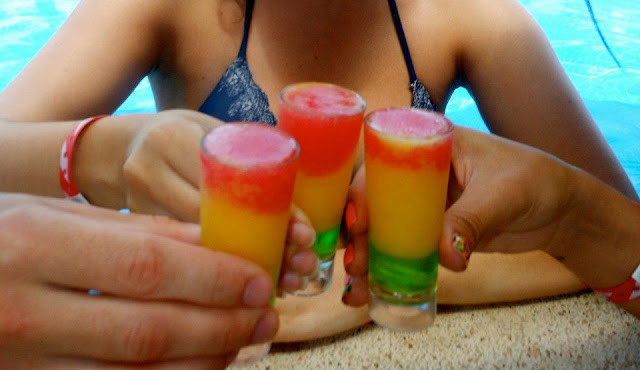 Afterwords he placed the shots before us- we asked, "what are these?" He simply replied, "Bob Marleys." It was a cool, sweet love affair. These fine little compadres are made up of 3 layers. A 1 count of Midori on the bottom. 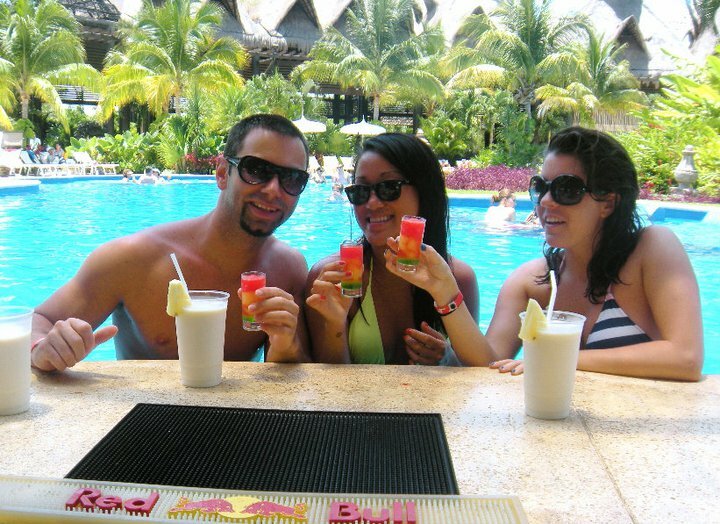 Then a well poured frozen mango margarita in the middle. With a frozen strawberry daiquiri on top. Layered slowly so they don't mix. 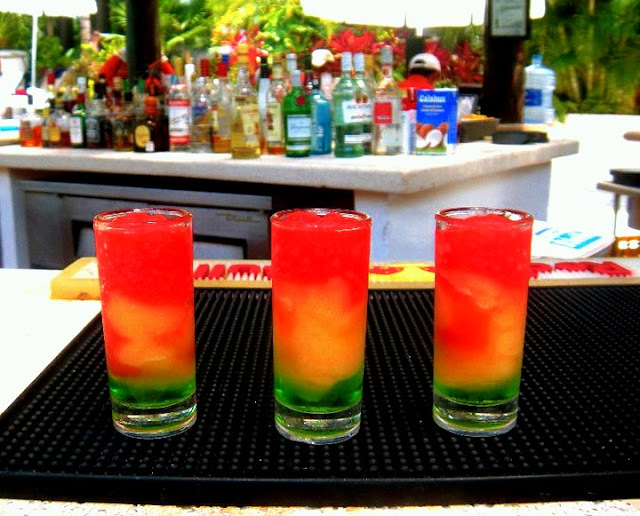 I am wishing I was in paradise drinking a "Bob Marley" NOW!!!! Sounds AMAZING!! haha, you and me both! they are sooooooo good! Amazing photos. You're so lucky!! Really a funny blog, we like very much. Following you already and wait you follow us back. Nice pictures, I like your blog, and I started to follow you.